Hale and Dorr LLP is one of America’s finest litigation companies. It has developed and grown into a multi service firm that practices law in numerous areas. Hale and Dorr LLP’s recognition and success is established due to its famous cases such as the Army-McCarthy case, Restoration of the Rule of Law in South Africa, and various other prominent trials. The firm has 12 offices worldwide, and over 1000 attorneys that work under its name. Hale and Dorr LLP provides legal services in core areas such as corporate law, transactional law, intellectual property, litigation, regulatory and government affairs, and securities. Providing quality services is the firm’s foremost principle. The firm believes in providing cutting edge legal solutions to cases. Hale and Dorr LLP has maintained a highly qualified group of attorney’s who focus on building strong relationships with clients and seek the best strategies to resolve legal disputes. They have hundreds of professionals who specialize in diverse practice areas and guide major clients from multiple cities. Learning and staying up to date with the ever changing business economy has allowed Hale and Dorr LLP to stay ahead of the curve. Hale and Dorr LLP has committed itself to excellence and innovation in the field of law. The Boston Business Journal has stated Hale and Dorr LLP as the world’s Most Admired Professional Services Companies in the world. Strengthening the community and building a better future for tomorrows generation is a major objective of its pro bono work. Hale and Dorr LLP has succeeded not just in providing legal services to clients, but has also demonstrating social responsibility through pro bono work. The firm has hired a team of pro bono attorney’s who specialize in pro bono work and strive for excellence in this field. Hale and Dorr LLP is appreciated worldwide for its influential pro bono projects that have played a major role in safeguarding human rights. It has been the winner of many pro bono awards over the past years; its most recent award includes the 2011 Arthur Ashe Courage Award from ESPN, and the Welfare Advocate of the Year award. Q:Hale And Dorr law firm is located in which cities? A:Hale and Dorr law firm has offices in many cities worldwide. Those seeking legal help can contact Hale and Dorr law firm in the following cities: Beijing, Berlin, Boston, Brussels, Frankfurt, London, Palo Alto, Waltham, New York, Washington DC, Oxford, and Los Angeles. This legal firm has helped many individuals and businesses in these cities and is well known for its quality services. Q:Does Hale Dorr Law firm practice in the area of pro bono work? A:Yes, Hale and Dorr law firm has acquired numerous awards for its service in the field of pro bono work. They have set up a number of community development projects in the nation and are keen on helping distressed members of the society. Medical care, housing schemes, education, drug abuse, women's rights, and civil rights are just a few of the areas it offers pro bono services in. Q:Can you give some detail about the history of Hale Law Firm? A:Hale and Dorr law firm has been in the law business since 1918, initially set up by Richard Hale and Dudley Dorr. These two attorneys laid the foundation of the firm's services and developed a quality corporate culture that is still being followed. The firm has since then grown into a international recognized firm and has achieved success. A few landmark cases that are a part of its history include the popular Army- McCarthy hearings, 9/11 commission, restoration of the rule of law in Apartheid south Africa, civil defense rights and more.  Q:Can you give some information about the fee structure of legal services at Hale and Dore Law Firm? A:Hake and Dore Law Firm focuses on high quality services at low costs. It has designed various fee structures to suit the diverse financial abilities of various clients. A few have been mentioned here: Contingent fee, the fee is only charged if there is any monetary gains/recovery from the case; Blended rate, a fixed hourly rate; Holdback fee, no charges until case is resolved with satisfying results; vaue fee, extra compensation if the results of the case go beyond the desired or expected results; collared fee, typically 10% agreed upon fee; and fixed fee. Q:The Hale Law Firm offers legal solution in which practice areas? A:The Hale Law Firm has specialized in the following practice areas: corporate and transactional law, intellectual property law, litigation and controversy law, regulatory and government affairs, securities, bankruptcy and banking law, employee compensation law, environmental law, aviation law, tax law, real estate law, fund formation, consumer protection law, public policy law, and many many more areas.